This picture shows the red and white stripes of the Sugar Stick plant clearly. 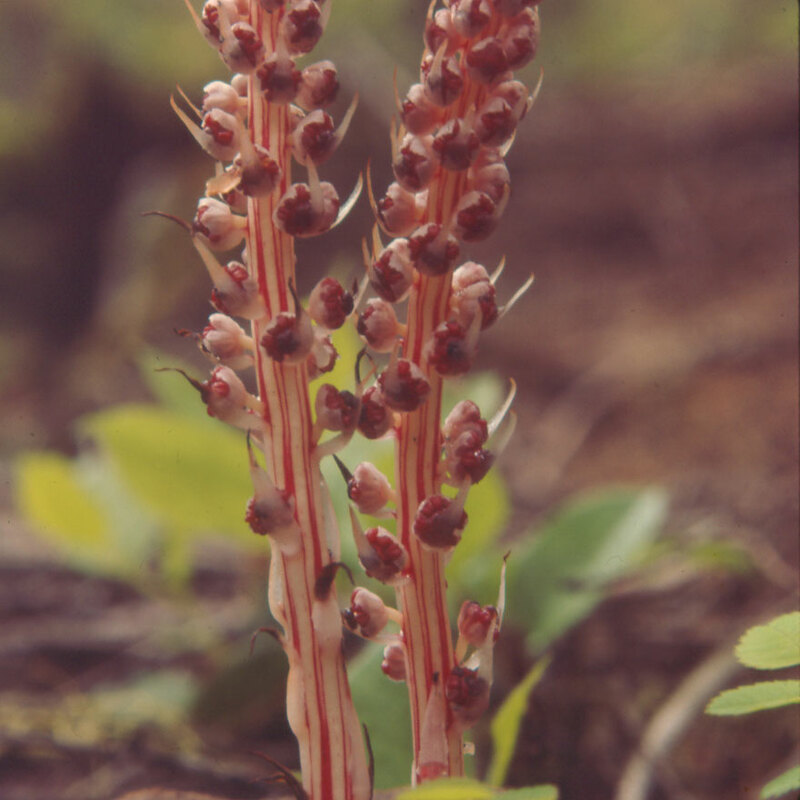 One authors says that the plants are red with white stripes. But aren't they really white with red stripes? The leaves of the plant are white, which suggests that perhaps the plant is basically white.